You’re going to call me crazy, but I’m just gonna say it: Timeline is good for your Facebook privacy. Up until now, you’ve been ignorant about your Facebook privacy. Okay, maybe not you. But a lot of you. You heard horror stories of people failing to protect themselves by using their privacy settings and lists. You ignored them. It was easy to be ignorant. Alright, I’m giving these people the benefit if the doubt. It shouldn’t have been easy. 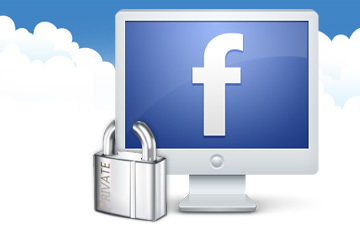 There has been far too much media attention on Facebook privacy to ignore it. But it was easy to look at your Facebook profile and see only a day’s worth of posts and say… Meh. It’s buried. No more. With Timeline, your Facebook life is retold in one view. Want to see your posts from 2008? Click. First, we need to clear up some misconceptions about Timeline. It doesn’t make private content public. It doesn’t change any of your privacy settings. Who can see each piece of content remains the same, as determined by your privacy settings. It just becomes easier to find. It’s easier to find!? So that’s bad! You said it was good! Look. It was always there. If I wrote a public status update cursing like a sailor in 2008, it was always out there for anyone to see. And chances are, many people saw it. Now it is part of my Timeline as an official part of my Facebook history. Content posted on my Timeline may now be easier for each designated audience to find. But it’s also easier for me to find. That, my friends, is the key. Before, I may have written a bunch of stuff in 2007 and 2008 that I’d regret, but I’d never be able to find it and take care of it. It was buried. Now, I can find it. I can take care of it. And I did. While I’ve always been very careful with my privacy settings, one thing I never thought about in 2007 was posts in public groups. Back before we were smart. And, oh man… Public groups were so different in 2007. I stumbled upon some posts I made that were on my Timeline. Facebook was like a completely different site back then. But the point is that I found them. I deleted them. And they are gone. I was able to remove those items because of Timeline. Look at what you’ve posted, stupid. You were warned. Now do something about it.